New and Headlines. 11/7/2018 – News and Headlines: RoboeAmerican,Keeping you informed. News and Headlines: RoboeAmerican,Keeping you informed. NEWS AND HEADLINES IS A ROUNDUP OF TOP NEWS AND HEADLINES OF THE DAY. Plus News Feeds. NO FAKE NEWS, NO MISLEADING HEADLINES. News and Headlines. In The News, Immigration, Politics, President Trump, World News, Commentary/Opinion. No, you’re not looking at a strange alien planet or the Earth through an Instagram filter – this orange glow is known as an airglow, courtesy of NASA. A Wisconsin girl charged with first-degree intentional homicide reportedly told police she stomped on a 6-month-old baby’s head at a daycare in an effort to stop the child from crying after she dropped him and panicked. The 10-year-old girl, who was not identified, sobbed in Chippewa County Circuit Court on Monday as a judge placed her on a $50,000 bond. Her case will, at least initially, be held in adult court, prosecutors said. He’s not old enough to drive. He may not even be able to see over the steering wheel. But for the third time this year, an 11-year-old Ohio boy reportedly led cops on a high-speed chase Sunday — the latest incident allegedly sparked by his mom taking away a toy. The Brooklyn Police Department told FOX8 the boy, who was not identified because he’s a minor, stole his mother’s SUV after the two had an argument when she took away his PlayStation. An officer spotted the SUV sitting outside a former fire station around 11 p.m., and when the officer went to check on the driver, the boy immediately hit the gas. At the sound of a woman’s “blood-curdling screams,” a Missouri gun owner sprang into action Saturday — and now Benjamin Seadorf is reportedly being credited with helping to save the woman from a vicious attack. Seadorf told FOX4 he was at his Kansas City home with his four children when he suddenly heard “blood-curdling screams” coming from the direction of a nearby intersection. A Florida man claimed he shot and killed his roommate — and then dismembered him — because he could “possibly be the next mass killer that we hear about in the media,” police said. Eric Dacosta, 52, faces charges of premeditated murder and abuse of a dead body in the death of Paul Stephen Darmetko, whose remains were discovered by hunters Oct. 7, the Sun-Sentinel reported Wednesday. Darmetko’s mother reported him missing Oct. 13 after Dacosta told her he hadn’t heard from his roommate of five months for about a week. RALEIGH, N.C. – A killer who strangled two of his wives in two states could be released from a North Carolina prison, potentially cutting short his life sentence after more than 22 years. North Carolina’s parole commission said Wednesday it was collecting information ahead of a decision on whether to release Tim Boczkowski. He also faces a life sentence in Pennsylvania and North Carolina state prison officials said he would be sent there if he is paroled in North Carolina after a hearing which could come as early as next month. The leading migrant caravan pushing its way to the U.S. border appears to be at a crossroads Wednesday, as members weigh offers to stay in Mexico or continue their journey northward — which in recent days has included perilous rides on the sides of trucks barreling down highways. The 4,500 Central American migrants in Mexico City have been hunkering down since Monday at the Jesus Martinez stadium, a temporary respite and relatively safe environ where volunteers, city employees and other officials have been dishing out aid in the form of clothing, food donations and legal advice. But soon they’ll be back on the road. Earlier this year, the chain was sued by former guests who alleged Motel 6 gave their private information to ICE, the Washington Post reported. The lawsuit came after a report by the Phoenix News Times stating at least 20 arrests were made by ICE agents at two Phoenix Motel 6’s between February and August. The motels were located in regions with a high Hispanic population. As part of the agreement, the motel has agreed to pay up to $5.6 million to patrons who “were placed in immigration-removal proceedings” while paying up to $1 million to guests who were interrogated and up to an additional $1 million to patrons whose information was shared with authorities, court documents stated, according to the Washington Post. The motel will cover the former patrons’ legal fees. Agents assigned to the Hebbronville Station on Monday observed a white pickup truck in an area known for human smuggling. As the agents approached the vehicle, it quickly came to a stop and a large number of people bailed out and fled into the brush, according to Laredo Sector Border Patrol officials. The agents carried out a search of the area and recovered 11 illegal immigrants, officials stated. Following an immigration interview, the agents learned the migrant group included five Mexican nationals and six Guatemalans. One unaccompanied minor was also found. On May 11, 2018, Breitbart News reported that the NRA filed a suit against Cuomo, Vullo, and New York’s Department of Financial Services, claiming the cancellation of Carry Guard policies was part of a larger “blacklisting campaign” against the civil rights organization. The New York Law Journal reports McAvoy issued his ruling after Gov. Andrew Cuomo (D) and Department of Financial Services Superintendent Maria Vullo sought to have the NRA’s suit dismissed. VANDENBERG AIR FORCE BASE, Calif. – The U.S. Air Force has conducted a test launch of an unarmed Minuteman 3 intercontinental ballistic missile from Vandenberg Air Force Base, California. Fox News Channel had the highest-rated midterm election coverage in cable news history with a whopping 7.8 million viewers on Tuesday night, according to early Nielsen Media Research. FNC’s coverage, anchored by Bret Baier and Martha MacCallum, also topped broadcast networks ABC, NBC and CBS in addition to cable news competitors. Fox News’ 7.8 million viewers from 8-11 p.m. ET was followed by NBC’s 5.7 million total viewers. ABC finished third with an average audience of 5.3 million viewers, followed by CNN with 5.1 million and MSNBC’s 4.7 million while CBS finished last with 3.9 million. Adryana Aldeen hovered outside a Dallas polling station Tuesday with a sign that read, “Pete Sessions for Congress” and a T-shirt that said, “Latinas for Abbott” – promoting both the incumbent Republican U.S. Congressman from the Dallas suburbs and the incumbent Republican governor of Texas. Aldeen joins a significant number of immigrant voters who supported the Republican Party Tuesday and, in turn, Trump, despite the president’s controversial stances on immigration leading up to the elections. Progressives are shaming white women for supporting a number of Republican male candidates in the 2018 midterm elections. A majority of white women supported Republican Georgia gubernatorial candidate Brian Kemp, Republican Texas Sen. Ted Cruz, and Republican Florida gubernatorial candidate Ron DeSantis. All three of those Republicans won their races last night, and left-wing activists and journalists were quick to place blame. Republicans gained seats in the Senate in the midterm elections as most Democratic Senators who voted against Supreme Court Justice Brett Kavanaugh lost. The so-called Kavanaugh effect bolstered Republican candidates in the red states of Indiana, North Dakota, Missouri, and Florida. Joe Donnelly was beaten by Mike Braun. Heidi Heitkamp lost to Kevin Cramer. Claire McCaskill lost to Josh Hawley. And Bill Nelson lost to Rick Scott. Crenshaw is part of a wave of veterans elected to office Tuesday, one of at least 77 members elected who will join 15 other veterans in the Senate who were not up for reelection. While the number of veteran lawmakers has declined after World War II and Vietnam, more younger veterans and more women veterans are joining the ranks of Congress — and advocates have said that they can smooth partisan hysteria and put Washington back to work. Pop stars Taylor Swift and Beyoncé publicly supported candidates who lost key races on Tuesday night. Hollywood heartthrobs, pop stars and athletes went all in on the 2018 midterm elections, using their platform to advocate for their candidates of choice – but when ballots were counted it became clear that celebrity endorsements don’t seem to matter to voters. “Last night, the American voters — once again — told Hollywood that they simply don’t care what they think. All across the country, Hollywood darlings were rejected by the voters,” conservative strategist Chris Barron told Fox News. At least four Democrats facing sexual misconduct controversies in the #MeToo era were voted into office on Tuesday, a result that would appear to clash with the party’s claims to stand behind women and have zero tolerance toward such allegations. House Reps. Keith Ellison, Tony Cárdenas and Bobby Scott, and Sen. Bob Menendez, all came out victorious on Tuesday, despite being accused of misconduct. Newly minted Congresswoman-elect Alexandria Ocasio-Cortez lost no time Tuesday night in going on the attack. Her election to the overwhelmingly Democratic 14th District, which covers parts of the Bronx and Queens, became all but assured when local GOP leaders withdrew their support of her Republican rival, Anthony Pappas, after domestic violence allegations were lodged against him, the New York Post reported. Google and Facebook are set to be the real winners of the November midterm elections before the ballots are even finished being counted. The two tech giants are expected to generate millions in revenue from online political ad buys as more political parties and candidates focus their marketing strategies online. Bloomberg reports that online ad spending in 2019 is expected to break a new record reaching nearly $9 billion, most of which will be spread across Facebook, Google, and Twitter. President Trump holds his first press conference since the midterm elections. Speaking from the White House Wednesday, Trump is expected to tout the Election Day results as a victory for the Republican Party. The president has already called it a “tremendous success” on Twitter. “Received so many Congratulations from so many on our Big Victory last night, including from foreign nations (friends) that were waiting me out, and hoping, on Trade Deals. Now we can all get back to work and get things done!” Trump said in another tweet. Jeff Sessions, once one of President Trump’s most loyal and trusted advisers before infuriating Trump over his recusal from the Russia investigation, has resigned as attorney general. “At your request, I am submitting my resignation,” Sessions wrote in the Wednesday letter to Trump. The president tweeted that Matthew Whitaker, who currently serves as chief of staff to Sessions, will become the acting attorney general. On the heels of the Vanity Fair article reporting that White House staffers are “worried” about Donald Trump Jr. and the Mueller’s Russia probe, Politico reported Wednesday that the president’s son is expecting to be indicted. In his post-midterm election press conference, President Donald Trump called out Republican candidates who lost in their respective races on Tuesday for not embracing the GOP’s message leading up to the midterms. The Nevada electorate just put a dead pimp in their State Assembly — so what happens to his seat? Unsurprisingly, his untimely death complicated his district’s political climate. Since he died so close to the 2018 Midterm Elections, Hof’s name had to remain on the ballot, per Nevada voting rules. Therefore, on Election Day, voters in Nevada’s Assembly District 36 were notified that Hof was deceased but still up for election. Alabama voters have approved two constitutional amendments to its constitution, regarding the display of the Ten Commandments on public property and the sanctity of unborn life. The majority 71.8 percent of voters in Alabama supported the “Alabama Ten Commandments Amendment, Amendment 1,” meaning they are letting the state constitution allow the Ten Commandments to be displayed on public property, which includes public schools and government buildings. As the dust settled in Tuesday’s midterm election where Democrats retook control of the House, and Republicans expanded their Senate majority, key candidates in some of the country’s closest contests refused to concede despite returns showing them trailing their opponents. In Georgia, Democrat Stacey Abrams, who was vying to become the first African-American female governor in U.S. history, has yet to concede though returns show her falling short of defeating Republican Secretary of State Brian Kemp in the race. Wisconsin Gov. Scott Walker conceded Wednesday in his gubernatorial race against Democrat Tony Evers, hours after The Associated Press projected Evers’ win. The Republican incumbent announced his concession in a news release and thanked Evers “for his gracious comments” during a phone call the two shared earlier today. Rep. Jim Jordan, R-Ohio, a key member of the conservative House Freedom Caucus, announced Wednesday that he intends to run for House minority leader — setting up a challenge to Rep. Kevin McCarthy, R-Calif.
“I plan to run for minority leader,” Jordan told The Hill, before taking a swipe at how the Republican caucus acted under outgoing House Speaker Paul Ryan, R-Wis.
Democrats’ success Tuesday in retaking the House majority appeared to put Nancy Pelosi of California at the top of a short list for the speakership. Pelosi has listed top priorities she hoped to tackle with a new Democratic House majority next year, in addition to what Republicans expect to be attempts to roll back last year’s GOP tax reform package, block planned new tax cuts for the middle class, and resist more cuts in government spending. Democrats took over control of the House of Representatives in Tuesday’s vote, making it likely that Rep. Maxine Waters, a California Democrat, will become chairwoman of the House Financial Services Committee. As the polls closed Tuesday night for the Nov. 6 midterm elections, Republicans lost control of the House, but picked up a few seats in the Senate. Republicans were expected to lose control of the House but keep control of the Senate, according to a majority of polls released before Tuesday. However, there was growing speculation that Republicans would be more successful than the polls suggested. The Daily Caller News Foundation wrote up a list of all the important results from the Nov. 6 election. A majority of voters in the House elections view the Russia investigation as “politically motivated,” according to CNN exit polls, while a plurality disapprove of special counsel Robert Mueller’s handling of it. MOSCOW — The Kremlin says it hopes that North Korean leader Kim Jong Un will visit Russia next year. Russian President Vladimir Putin’s foreign affairs adviser, Yuri Ushakov, said Wednesday that “I hope the visit could be possible next year.” The announcement contrasted with earlier Kremlin statements that Kim was expected to visit Russia this fall. China is reportedly developing a stealth combat drone that can “fly long hours, scout and strike the target when necessary” — and, perhaps, fill a market vacancy for unmanned aerial vehicles that the United States has so far been hesitant to exploit. Manufacturer Chinese Aerospace Science and Technology Corporation plans to test fly the CH07 next year and hopes to begin mass production by 2022, chief designer Shi Wen told reporters Wednesday. The development of the combat drone is the latest sign of China’s growing aerospace prowess and underscores the country’s competitiveness in the expanding global market for such vehicles. Nov. 7 (UPI) — China is prioritizing a trade zone bordering North Korea in possible preparation for increased commerce between the two countries, according to a South Korean press report. Yonhap reported Wednesday an area near the city of Hunchun, in Jilin Province, was designated a “national zone,” a sign China is getting ready for a new chapter in economic cooperation with Pyongyang. A hand grenade-shaped belt buckle tucked inside a suitcase triggered train station evacuations and widespread rail service disruptions in two of Spain’s largest cities Wednesday. Spanish police said a security scanner at Barcelona’s Sants railway station flagged an object inside a woman’s suitcase that resembled an explosive device, triggering the security alert. On Tuesday, Israeli Defense Forces protecting a pilgrimage of 1,000 Jewish worshipers to the Tomb of Joseph discovered two grenades hidden at the site. The hand grenades were of makeshift design and appeared to be manufactured locally, according to reports. In addition, gunfire was directed at an Israel Defense Forces vehicle and Palestinian Arabs threw rocks and Molotov cocktails. ISLAMABAD — Two senior Pakistani officials say a Christian woman acquitted eight years after being sentenced to death for blasphemy is being flown to the capital Islamabad from an undisclosed location in Punjab province for security reasons. The officials spoke on condition of anonymity Wednesday as they were not authorized to speak to media on the record. The move comes a week after Pakistan’s Supreme Court in a landmark ruling acquitted Bibi and ordered her released, a move that triggered nationwide protests. Bibi’s release was put on hold Friday after authorities held talks with radical Islamists who want her publicly hanged. A Christian Pakistani woman who is facing death threats in her home country has been offered asylum in Italy. While her conviction and death sentence for blasphemy against Islam was overturned last month by Pakistan’s Supreme Court, Asia Bibi and her husband, Ashiq Masih, have been barred from leaving the country. The decision sparked protests by Islamic groups, with calls for Bibi’s execution and the murder of the judges. Pakistan has a tiny Christian population, and Bibi’s case has been taken up by a number of Christian and human-rights groups. He leaves behind a wife, seven kids, and a failed cause that has so far cost more than $1 trillion and thousands of lives, and with just a few handpicked military outposts in the wilderness to show for it. All this in a country mostly covered by poppy seeds, where the Taliban control more territory than they did at any time in 2001. The word “war” is within quotes, because it doesn’t look like a war anymore. That was won three months from the first B2 bomb runs in October 2001, but it’s now become an imperial law and order mission, like the British (and British Indians) used to do for hundreds of years. Now that Florida restores voting rights to 1.5 million ex-felons, will crime fall? Voters in Florida approved a ballot measure on Tuesday that restores voting rights to citizens with felony convictions once they have completed their full sentence. Newly elected Florida Gov. Ron DeSantis opposed the measure called Amendment 4. But more than 64% of Florida voters voted in favor of the amendment — well above the 60% support that was needed for it to pass. This means that 1.5 million U.S. citizens in Florida automatically regained their right to vote, increasing the number of eligible voters in Florida by more than 10% overnight. It’s been about nine years since the Obama administration lured states into adopting Common Core sight unseen, with promises it would improve student achievement. Like President Obama’s other big promises — “If you like your doctor, you can keep your doctor” — this one’s been proven a scam. So here we are, nine years later. Common Core has been officially rolled out into U.S. public and even many private schools for at least three to five years now. Are American children increasingly prepared for the “the challenges of the 21st century”? We’re actually seeing the opposite. They’re increasingly less prepared. And there’s mounting evidence that Common Core deserves some of the blame. ACT scores released earlier this month show that students’ math achievement is at a 20-year low. The latest English ACT scores are slightly down since 2007, and students’ readiness for college-level English was at its lowest level since ACT’s creators began measuring that item, in 2002. Students’ preparedness for college-level math is at its lowest point since 2004. Pelosi called Trump's conduct "unethical, unscrupulous and beneath the dignity of the office he holds." House Democrats have agreed to postpone their deadline for President Trump's financial documents pending a court ruling on his lawsuit to block such a release, handing a major victory to the White House and, for now, vindicating Trump's decision to take the matter to court. A former professional hockey player and a mother of two were found dead in the athlete's home in California, officials said. Fox News contributor Kat Timpf criticized the Democratic Party's consideration of impeachment Monday on "Your World with Neil Cavuto," saying that such an action would only embolden President Trump. Alphabet Inc.’s Wing Aviation unit has received the first U.S. authorization to operate a fleet of unmanned aircraft for consumer-goods deliveries, a move that could jump-start various companies’ commercial drone services nationwide. The White House missed a deadline to turn over President Donald Trump’s tax returns to a House committee, in what could lead to a court fight for the papers. Stocks in 2019 have thus far befuddled Michael Wilson, with the S&P 500 and Nasdaq Composite breaking out above their closing records in Tuesday trade. 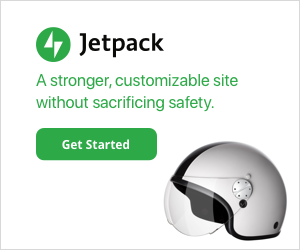 Sponsored AD: Create a website that works for you. 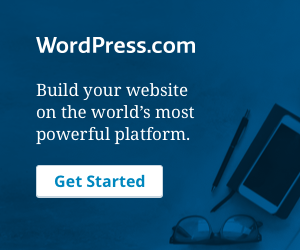 WordPress.com empowers millions of businesses, bloggers, and online stores. Create a website on the world’s most popular platform. FREE INTERNET SAFETY & SECURITY TOOLS, FREE WEBSITE CHECKER’S, REFERENCE DESK. PLUS HOW – TO SITES. Free Website Malware and Security Scanner Enter a URL (ex. sucuri.net) and the Sucuri SiteCheck scanner will check the website for known malware, blacklisting status, website errors, and out-of-date software. Refdesk Since 1995, Refdesk is a free and family-friendly web site that indexes and reviews quality, credible, and current web-based resources. Safe Web Norton Safe Web is a new reputation service from Symantec . Our servers analyze Web sites to see how they will affect you and your computer. Site Safety Center With one of the largest domain-reputation databases in the world, Trend Micro’s web reputation technology is a key .This one needs to run about a minute for results to start showing. Zulu URL Risk Analyzer How safe is your web destination? Friends of News and Headlines. About the Site and Author. FAIR USE NOTICE: This site contains copyrighted material the use of which has not always been specifically authorized by the copyright owner. We are making such material available in our efforts to advance understanding of environmental, political, human rights, economic, democracy, scientific, and social justice issues, etc. We believe this constitutes a "fair use" of any such copyrighted material as provided for in section 107 of the US Copyright Law. In accordance with Title 17 U.S.C. Section 107. Advertising Disclaimer This website may contain third party advertisements and links to third party sites. Third party advertisements and links to other websites where goods and services are advertised does not mean News and Headlines endorse or recommend the advertiser’s goods or services. News and Headlines does not make any representation as to the accuracy or suitability of any information contained in those advertisements or links to third party sites, and does not accept responsibility for the content of the advertisements, promises made, or the quality or reliability of the products or services offered in these advertisements. News and Headlines will not knowingly run an advertisement which is untrue or fraudulent. The views and opinions expressed in the Commentary section’s are those of the authors and do not necessarily reflect the official policy or position of News and Headlines. Any content provided by our bloggers or authors are of their opinion, and are not intended to malign any religion, ethic group, club, organization, company, individual or anyone or anything.